Letter O: Oil shortages are no problem in La Yacata. Ohhh I got behind. Sorry we've been off the beaten track. Caught up phew. Hope everyone is doing well on this Monday of A to Zing. O is for Ornithology - and a Tuesday haiku on that theme! Aaaiieeee! I keep forgetting to post. But I don't forget to write my own murder scene every day. It's great fun - for the reader, not so much for me. Come over for a visit, I'll wander back your way! It's another day in Amble Bay and you are attending a concert by the Amble Bay Orchestra with me! O is for OFF - as in turn-OFFs. I am using Amy Krouse Rosenthal's "Encyclopedia of Me" to journal daily. It was fairly easy to write up this list of turn-OFFs. What are yours?? Go out tonight just after Sunset and look for the constellation Orion. It will be sitting about ten degrees (one fist held at arms length) above the western horizon. See if you can find Orion's belt, and spot the red star Betelgeuse. Read about William Robbie, the artist and see his Oil Painting in Fact or Fiction-Family Stories. Stand up for what's right and what you believe in. Oh! This one's a tough one to write. Theme this year is the tradition of Indian textiles. Click here for Chapter O of my A to Z Choose Your Own Adventure (AC)! Comment to vote for the next choice and come back tomorrow for the reveal of the next installment in the novel: Runaway! I have so many questions about this folktale. Omnipotence, omniscience, omnipresence — big words to describe a big God. But, what do they all mean? Use the poem below to remember these important attributes of God. Writing still getting on your nerves? Need a laugh? Come by and get it off your chest! Now we're cooking. No, really. I'm cooking on this one. Today I try to break the bank with my review of Ocean's Thirteen review on the Wolf of Words. The post is also how I feel about gambling in general. hello ,Big O today is about Obstacles..all forms that come at you and an inspiring tale. 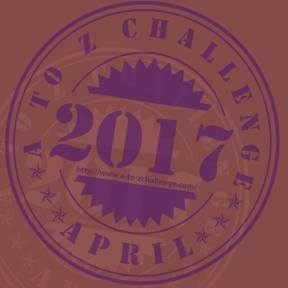 Do stop by to check out my positivity focused blogs for the #atozchallenge. Latest Post: ONE: Memories of 1969 and 1971. Hi! I am Radhika and this is my entry for today. Olivia and her three girls are called to an urgent appointment. Letter O: Obsession: A comparative analysis between Obsession and Passion. Letter O: Obverse. Can you always be sure which side is it? Today on my A-Z of my Favourite Things, O is for one of my favourite songs - On a Mission by Gabriella Climi. O is for Octopus The latest part of my continuing story. Ok, kittens & dawgs, we're on the letter "O". What do you think I sketched today? Come by Curious as a Cathy to check out Art Sketching Through the Alphabet "O" to see my daily challenge contribution! Ordinary moments and a few ordinary pictures for you today. Flash Fiction with a behind-the-scenes look at how I wrote it. O is for out-and-about in my LEGO themed post of the day! Oh Man! This was a tough one. My phone took a swim yesterday so my go to camera is kaput. But I came up with a topic I love. O is for Omelettes, Etc. Am posting from Eurostar en route to Belgium, hoping for wi-fi success. O = Obsession, opposites,over... with a dash of Oscar Wilde. Today's What if... Opportunity Knocks Again!? The story of how I chose my name when I came out as trans. Theme: Writing prompts, great for story starts, overcoming block and burnout, and as a warm up. Metallica & Aerosmith & more! HOW WELL DO YOU REMEMBER THE EVENTS AND HAPPENINGS OF 1992? Drop by my blog and check out my '92 Time Capsule! Susan is telling you about an Outstanding suspense novel today at Girl Who Reads. My take on the subject of Outfits. O is for Opportunities Looking for opportunities to advance your career and allow you to grow! Post: O is for “Ones I Read Over And Over.” Which books do you like to reread? Letter: O is for Orange you glad I didn't say banana?!?!?! Here is a link to my post for O from my blog Weekends in Maine. Thanks for visiting! O is for October Fields | Finding my zen with clean burning soy candles. As an Outsider, what information would you need to know before visiting the Royal City in Kios? Fifteen posts in and going strong. I'm having so much fun writing this story. Avera gets an unwanted visitor while on lunch break at MacSweeny's. Today on Sciency Words: A to Z... organic chemistry: how an entire field of science got stuck with the wrong name. I using the letter "O" to stand on my soap box and share about something near and dear to my heart - "Orphans"
Don't think I remembered to post my letter O post so here goes. My theme is mostly made up holidays. Today's holiday is "Observe Your Neighborhood Day"
After four tries I am giving up on the clickable link today. Can't figure out what quote/slash space is wrong. Theme: Rocks to throw at your hero once you've written him up a tree! Is it too late to ask any of you how to create a link in a reply? Blogging about novels for young adults. O is for Orphan. Digging a little deeper for a character for today's post. An ONION as a murder weapon? Stop crying. It's a thing. Today's #AtoZChallenge in China: Open-crotch pants worn by many Chinese toddlers! Today's post for my Things Kids Say theme talks about the boy's version of The Ten Commandments.